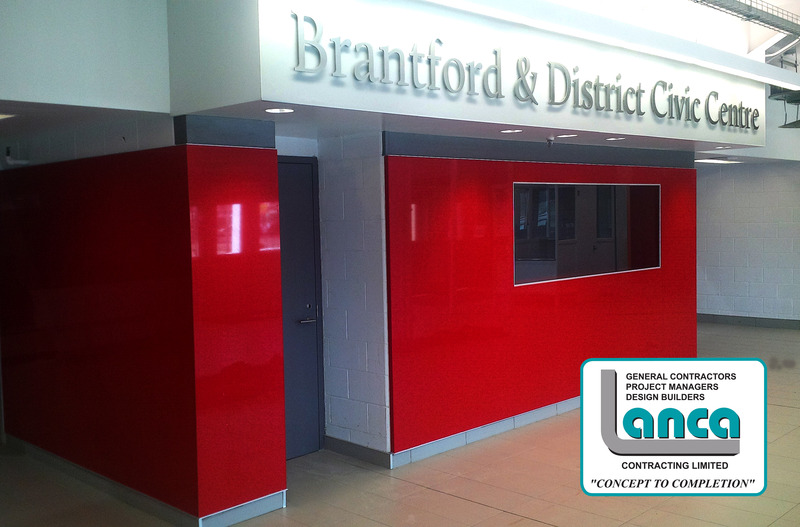 Brantford Civic Centre – Renovations now complete – LANCA Contracting Ltd.
Renovations to the Brantford Civic Centre located on 69-79 Market Street South, Brantford are now complete. Lanca Contracting was awarded the contract in the fall of 2014 and continued into 2015. The main entrances and foyer areas received complete renovations and a handicapped lift was installed. All new high-end finishes included quartz wall cladding, new service counters, removal and updated flooring, HVAC systems, new exterior stairs, doors and all high frequency hardware.